Family therapy includes two or more members of a family system. 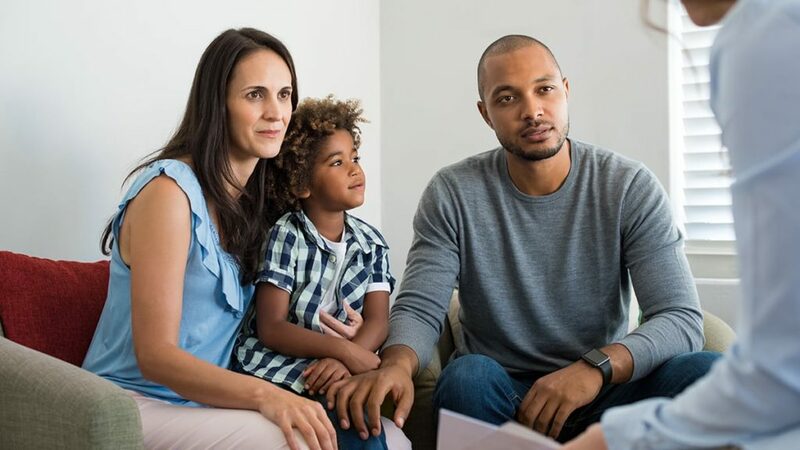 Participants in family counseling can be parents and children, stepparents and step siblings, grandparents, aunt/uncles, non-relative caregivers and children. Family compositions and relationships can be complicated. Your clinician will assist you in determining which family members should attend to benefit most from family counseling. Our clinicians have extensive training in family counseling as well as years of experience. We specialize in treating blended families, adoption, divorce/co-parenting, parenting struggles, children with behavioral difficulties at school, etc. Our goal is to provide a safe and supportive therapy environment for families and couples, so they feel motivated and empowered to take action and make real changes in the relationship. Your starts simply with a sincere desire to find the root of your issues as a family or as a couple. The next step is to listen to your partner or family members and explore new ideas and integrate them into your relationships. If you are wondering if family therapy might help your family, call to speak to a therapist today to get answers.